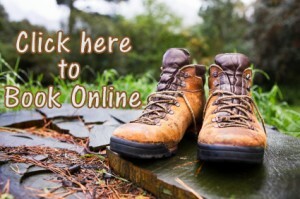 Go WILD with us on a guided hike along historical Porters Creek. No other trail in the Smokies offers so much to see and enjoy than Porters Creek! This trail is famous for the awesome display of wildflowers in April, May, and June. Upwards of 30 different species can be seen along this trail. We will see several old homesteads of the Cantwell and Whaley families. Look close and you may find the old antique car and several spring houses still left. We continue up the trail to the Owenby Cemetery where graves date back to the early 1900’s. We continue on our way to Porters Creek Flats where the Whaley family first settled into the Smoky Mountains. From here the junction of Brushy Mountain trail will takes us to the John Messer farm where we see a cantilever styled barn and foundations of the old house and spring house that were built in 1875. 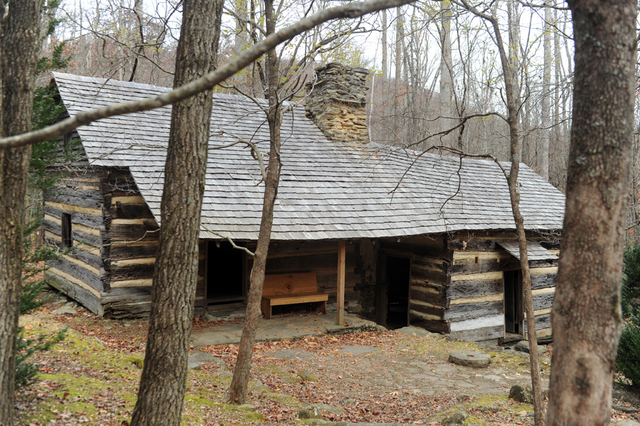 Here we also see the Smoky Mountain Hiking Club cabin built in 1934. A short side hike and we come to beautiful Fern Branch Falls. There is so much history and beauty packed into the easy hike that it is one of our most popular Half Day Hikes. Difficulty Rating: Trail is rated as Easy. Elevation gains of 699 feet with 350 feet gain per mile make this a great family hike.